The 256 players taken in last year’s NFL Draft came as far away as Germany and American Samoa, but the state that impressed most in terms of producing NFL talent was our own, Georgia. Florida, double the population of Georgia, led with 39 former high school players and Georgia finished second with an incredible 30 draftees. Georgia produced more draft picks than football hotbeds Texas (27) and California (26). 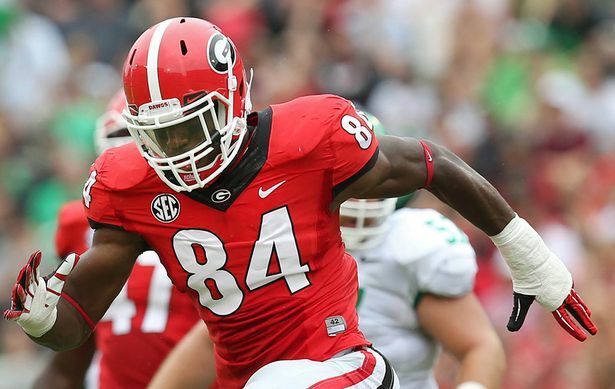 In the first round, DE Vic Beasley, OC Cameron Erving, DE Bud Dupree and WR Breshad Perrimen were taken. Beasley (Adairsville) went to the Falcons with the No. 8 overall pick and Erving (Colquitt County) went to Cleveland at No. 19. Three picks later, Dupree (Wilkinson County) was selected by Pittsburgh, and NFC North rival Baltimore picked up Perriman (Arabia Mountain) at No. 26. Georgia added Stephenson alum Preston Smith in the second round and then the final five rounds each averaged five Peach State products. This year, however, could see a different trend as projections leave Georgia shorthanded in the early round. According to the latest 2016 NFL Mock Draft Central, Georgia has a ceiling a four first round picks. Between the four experts that have released a first round mock draft for NFL.com, there are 41 total players represented in their four separate 32-pick mock first rounds. Out of those 41 projected first rounders, eight come from Texas and seven hail from Florida. Georgia’s four players to make the list were Leonard Floyd (Dodge County), Sheldon Rankins (Eastside), Robert Nkemdiche (Grayson) and Vonn Bell (Ridgeland). The NFL Draft begins April 28 at 8 PM and I’ll have a full breakdown of where each pick played their high school ball after each of the rounds. Stay tuned to see which states influence this year’s crop of NFL draftees. Here is a breakdown of the 2015 draft.